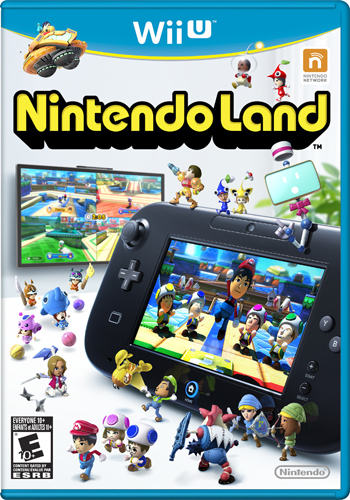 Nintendo Land is, essentially, the Wii Sports of the Wii U; However, Nintendo Land is actually a decent game. Not only does it showcase what the Wii U is capable of doing with its asynchronous multiplayer and GamePad, but it also provides a gameplay experience full of the same types of experiences we would expect to see in a game like Mario Party. The visuals/graphics are great! 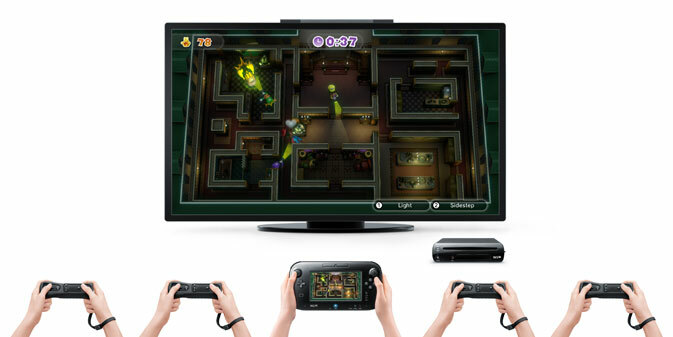 Nintendo Land was the first Wii U game we played, and we were both stunned by how good Nintendo franchises look in HD. There are 12 attractions in Nintendo Land. Each attraction is based on a popular Nintendo franchise, and attempts to provide a different way for the player to experience what the Wii U has to offer. Half of the attractions are multiplayer, allowing the one person to use the GamePad and others to use Wiimotes. The other half are single-player, but many of them allow players to hand off the GamePad and take turns — especially in the ‘Attraction Tour’ mode where players are given a sampling of games to play to see who wins the overall highest score. Some of Nintendo Land’s attractions have a shocking level of innovation. Utilizing the Gamepad, which works wonderfully by the way, as a second screen with gyro and other capabilities, does more for the entire experience than you can imagine. Read on after the break for more of our Nintendo Land Review. 12 attractions: 6 multiplayer, 6 single-player. Most of them are fun! Many attractions have different modes, and multiple levels per mode. The Metroid attraction has a vs. mode, and a mode where you can team up to fight waves of enemies. The Pikmin adventure is strictly a cooperative event, and the Zelda attraction is cooperative and on-rails. There are also many ‘chase’ style attractions. In these, one player tries to chase and catch the others. Our favorite event, Luigi’s Ghost Mansion, is one of these chase games. In Luigi’s Ghost Mansion, oe player uses the GamePad and plays the ghost. The other players, using Wiimotes, try to avoid being grabbed by the Ghost by using flashlights to drain the Ghost’s life away. Not all attractions are created equal. We won’t say that any of them are terrible, but some of them a less innovative than others. Captain Falcon’s Twister Race is essentially nothing more than turning the GamePad on its side and using the gyro controls to steer. Actually, come to think of it, the multiplayer attractions are definitely all better than the single-player ones. Despite most attractions being fun, and the overall game itself being good, we feel Nintendo Land would have benefited greatly from online multiplayer. The attractions lend themselves perfectly to a quick get-in-get-out experience with little to no need for communication. We also feel that the entire game benefits tremendously from playing with others. The fun factor increases exponentially with additional players. Nintendo Land is a party game, or at least a game to be played with other people who will embrace each attraction fully. 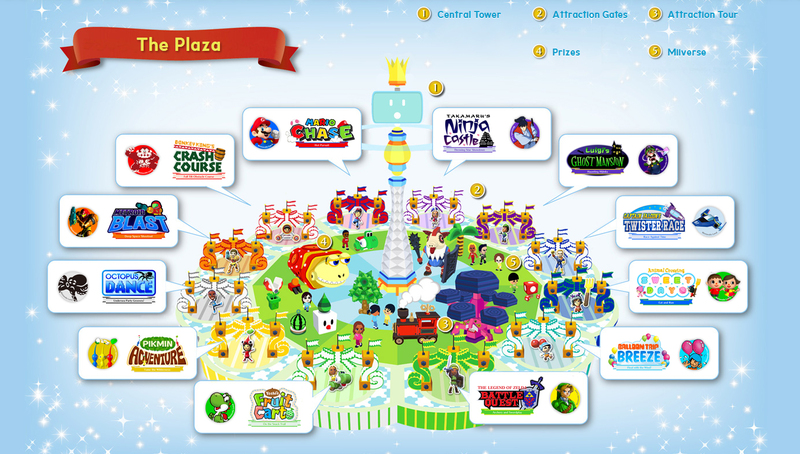 Nintendo Land is perfect for young kids to play with parents, groups of kids to play together, groups of teens and young adults to laugh and enjoy themselves, and even serious man-child gamers like ourselves. Basically, Nintendo Land is for everyone. After a VERY long and arduous discussion, going back and forth on the pros and cons, we still haven’t come to a true consensus. We’re stuck somewhere between 3.5 and 4. On our review scale, both of those are solid scores — we don’t function on the”70% is failing” score like other sites. We finally decided on a score, and it all boiled down to needing multiple people in order to truly enjoy the game. We give Nintendo Land a 3.5/5, and recommend buying it only if you have you people to play with, and didn’t get one bundled with a Wii U Deluxe Set. If Nintendo Land is any indication, future Wii U games are going to have tons of potential.